Meet our representative who will be there to assist you while you take a transfer to Darjeeling from New Jalpaiguri Railway Station (70.3 km) / Bagdogra Airport (65.3 km) / Tenzing Norgay Bus Stand (61.9 km). A serene hill station set at an elevation of 2050 meter, Darjeeling opens arms to tourists from all over the world to explore its untouched beauty. The weather of the hill town is so alluring that nothing in the world can make you leave it. Take a toy train ride (UNESCO World Heritage Site), have a look at the beautiful tea plantations while crossing the valleys, enjoy a stroll around the Mall road, enjoy the breathtaking views of the Kanchenjunga peak from the Tiger Hill and sip in a cup of the best tea in the world. On reaching Darjeeling, check-in to the hotel. In the evening, go out for a stroll around the Mall or local shopping center of Darjeeling. Have a comfortable overnight stay at Darjeeling. This morning, wake up early and then leave for Tiger Hill. Get ready to experience a sunrise like never before. Tiger Hill is considered the best place to enjoy a sunrise in Darjeeling. This is because the hill is located at an elevation of 7,407 meter feet above sea level and it offers great view of the Himalayan range during sunrise. Let the shining rays of the sun and soothing ambience of the hill make you forget all concerns of the world. While going back to Darjeeling, visit major tourist attractions like Ghoom Monastery, War memorial and Batasia Loop. Batasia Loop is the place through which the toy train passes in a loop like pattern. It is a great location to enjoy a 360 degree view of Darjeeling’s picture perfect landscape. At the center of the Batasia Loop Garden, there is War Memorial, which was built to honor the Gorkha soldiers who lost their lives in different operations and wars after India’s independence. Built back in the year 1875, Ghoom Monastery holds immense importance as it is dedicated to Maitreya Buddha, who is believed to be ‘The Buddha to Come’. The monastery preserves some rare, handwritten Buddhist manuscripts. Enjoy your breakfast at the hotel and then leave for your next round of sightseeing. Visit one of the most popular attractions of Darjeeling, Peace Pagoda. Peace Pagoda was purposely built in order to bring peace and prosperity in the world. It displays four different avatars of Buddha and is open to people of all races and creeds. Don’t miss taking a cable car ride which offers breathtaking views of the Himalayas. 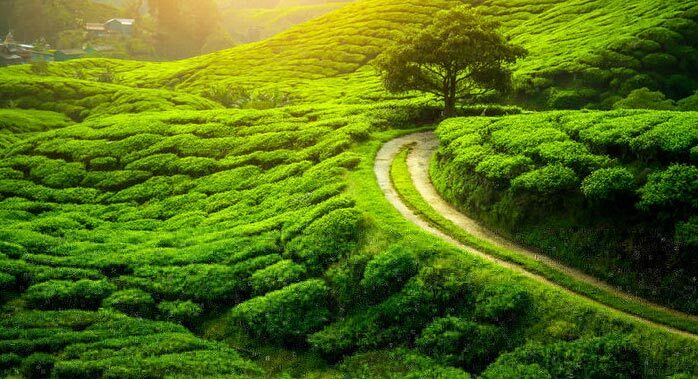 Walk through the beautiful tea estates and pick up the best tea in the world for yourself. Also, visit other attractions of Darjeeling such as Padmaja Naidu Zoological Park, Himalayan Mountaineering Institute (Closed on Thursday), Tensing and Gumpo Rock, Tibetan Refugee Self Help Center (Closed on Sunday) and Natural History Museum (Sunday Closed). Later, return to the hotel and take some rest. Go for a walk around the local market area in the evening. Enjoy a comfortable overnight stay at Darjeeling. After having your breakfast, start driving towards Mirik. As you drive through picturesque valleys and lush green meadows, experience the soft breeze caressing your face and tranquility calling you closer. 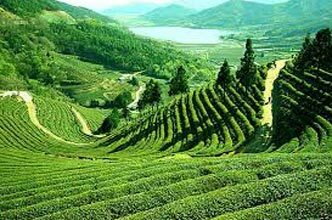 Mirik is one of the most serene tourist attractions of Darjeeling. Relax by the beautiful Sumendu Lake and let the pleasing weather and breathtaking views leave you mesmerized. Enjoy activities like boating, horse ride and canoeing at Mirik. Mirik is a great location for trekkers as it offers a number of trails from where tourists can enjoy the view of thick and beautiful forests. 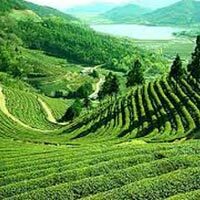 Walk through the tea gardens and enjoy the sight of Himalayan range, orange orchards and cardamom groves. On your way back to Darjeeling, visit Pashupati Market and shop for imported clothes and cosmetics from Thailand. In the evening, go for a stroll around the Mall or the local market area. Stay overnight at Darjeeling. Munch some breakfast and then leave for Siliguri / New Jalpaiguri Railway Station (70 km) / Bagdogra Airport (69 km) / Tenzing Norgay Bus Stand (62 km). On reaching, leave for your onward journey.